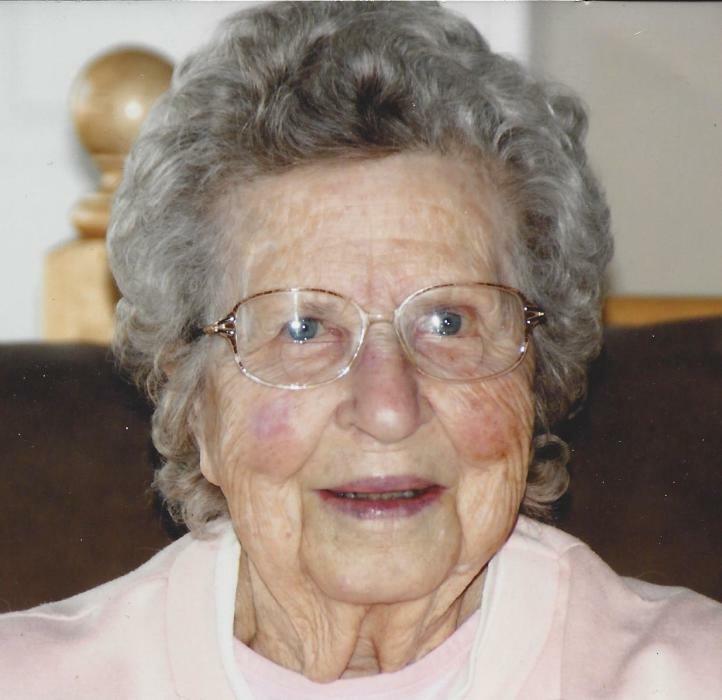 Peacefully on November 19, 2017 at Country View Care, Godfrey, ON, in her 97th year. Beloved wife of the late Oakland (1996). Dear mother to Flora (Peter) Svendsen of Sydenham, Marlene (Don) MacDonald of Kingston, Joanne (late Paul) Ankers of Sydenham, Lucille (Craig) Penney of Guelph, Jeannette (Carl) Pixley of Harrowsmith, Beth (Terry) Freeland of Verona, Jim Meeks of Kingston, and Ernie (Janet) Meeks of Bell Rock. Survived by siblings Bette (late Lloyd) Babcock, John (Marilyn) Ball, sister-in-law to Bessie (late Maitland) Meeks of Amherstview, and Leland (late Kay) Meeks of Barrie. May will be fondly remembered by her many grandchildren, great grandchildren, other family and friends. Family and friends will be received at the TROUSDALE FUNERAL HOME in Sydenham on Thursday, November 23, 2017 from 1-4pm and 6-8pm. Funeral Service, Friday, November 24th in the Funeral Home at 11:00am,visiting from10 until time of service. Interment to follow at Verona Cemetery. For those who wish; memorial donations may be made to Royal Canadian Legion Branch #496 or Sydenham Holiness Church.